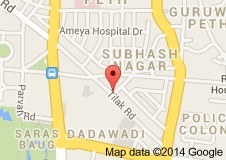 Description: Gokhale hospital carries an overall experience of 30 years and is located on Tilak road. They deal with cold as well as traumatic cases of orthopaedics. Joint replacement, ortho-surgery, upper limb surgery, foot and ankle surgery, rehabilitation and braces support is a list of medical facilities provided by this hospital. Talking about their infrastructure, they have 25 beds with AC private rooms for the comfort of the patients. There are 2 general wards. They provide sports medicines, surgery for joint replacement and minimally invasive surgery in addition to the above listed treatments. Talking about the infrastructure of Gokhale Hospital, they have digital x-ray machine, fully-equipped operation theatre, emergency rooms, power backup, large size lift, bore-well to ensure consistent water supply. Taking an appointment is very easy, and could be done by simply filling a form online. Their team of doctors is experienced for years and have been carrying such specialized surgeries since many years. 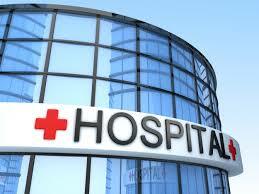 This hospital has several cashless facilities due to association with a lot of firms under community involvement. They have digital x-ray machines and operation theatre for quick services.